River City Volkswagen Club :: Have you seen this? Posted: Tue Aug 11, 2009 8:53 am Post subject: Have you seen this? 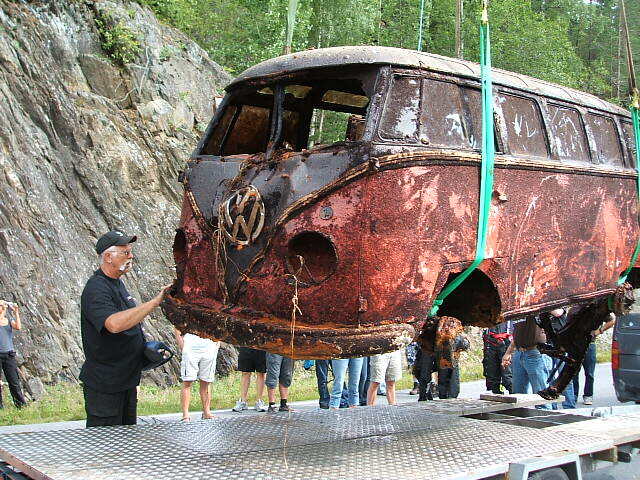 Pulled from the waters in Norway, after 35 years they say. wher is that pulled from? Damn, that's cool, and it WAY better shape than you'd think! I think it's a bit over the top. 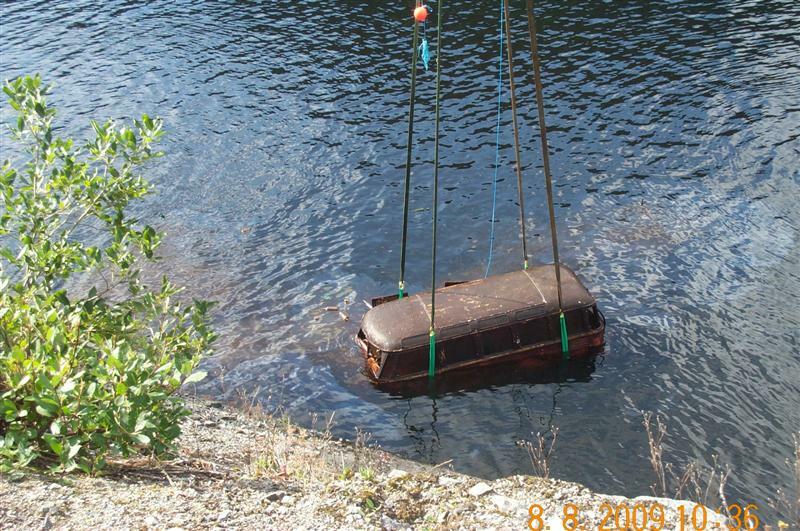 the amount of rust he's gonna find, I hope it justifies teh cost of getting it outta the lake. dette er hva jeg vil kalle en skikkelig vannkj�lt buss he he! Does this have enough patina for you Eric? 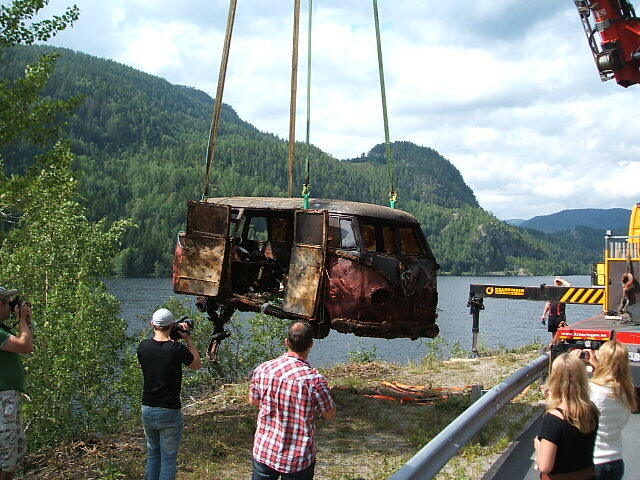 That's so cool, and he was just driving through on vacation, and happened to see them pull it out. Now that would be awesome. I love all the beer bottles. I used to live in Sweden. Norway was our weekend get-a-way....What a cool adventure to see this!!!!!!!!!!!!! !